The city of Girona has an illustrious history. It’s undergone 25 sieges, been captured 7 times, and been devastated by disease and famine. The defensive walls of the city were taken down to allow for expansion, although recently some of the walls have been reconstructed. The city of Girona wants to share this fascinating history with TBEX attendees with a FREE city tour that will familiarize visitors with the city’s Old Town and Jewish Quarter (in photo), the colored houses along the river, and the surroundings of the Cathedral, among other hidden spots. The FREE city tours start at Punt de Benvinguda. The tours will be offered on Thursday, September 20th, at 4 pm and 5 pm. 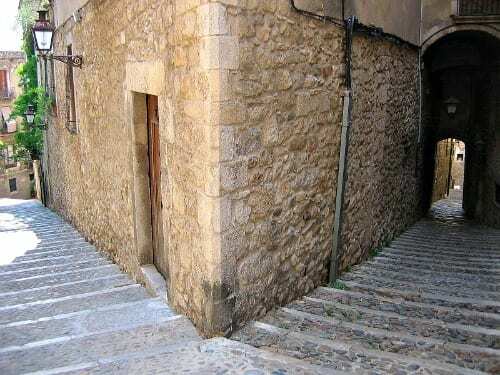 The tours last about an hour and a half, and will give participants a brief glimpse at the history and architecture of Girona’s past as well as a look at the Girona of today. And they’ll get participants finished in plenty of time to catch the shuttles to the opening night party at St. Gregori’s Castle. Participation in the tours require an RSVP. Feel free to bring a guest, but please sign them up so the city of Girona can get an accurate head count. The tours will be launched in groups of 30 people, and everyone who is interested will be accommodated. This sounds fantastic! I just found out about the conference from the Travel Bloggers Show in LA. Dan Reed and Matt from Landlopers mentioned it several times – sorry to miss it this year – will be in Peru – but really looking forward to staying connected via social media.